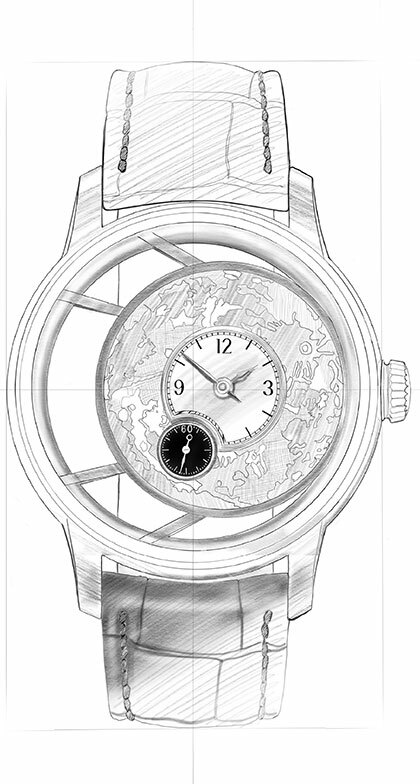 The TEFNUT model is a men‘s watch that reflects a decidedly reduced form vocabulary and a straightforward development process. 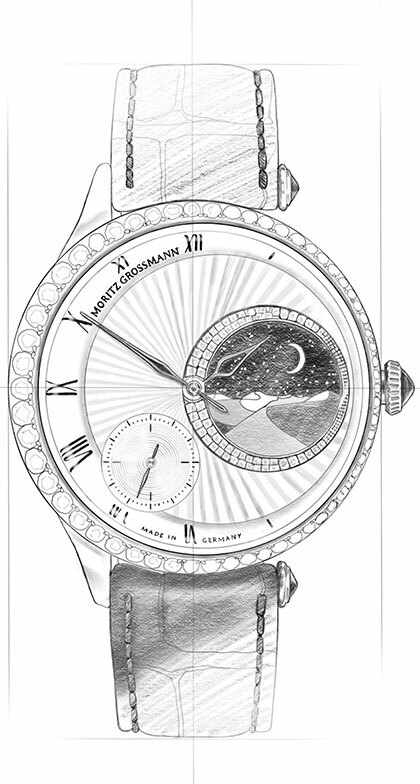 Its personality eliminates all doubt that horological class is also a question of appearance. 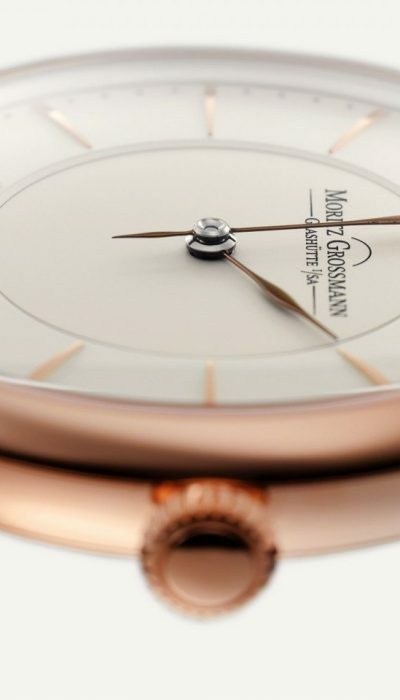 Exquisitely cambered gold hour markers, convex numerals at the 6 and 12 o‘clock positions, two manually crafted hands conceived explicitly for this watch family, and a slender gold case are defining elements of this timepiece. 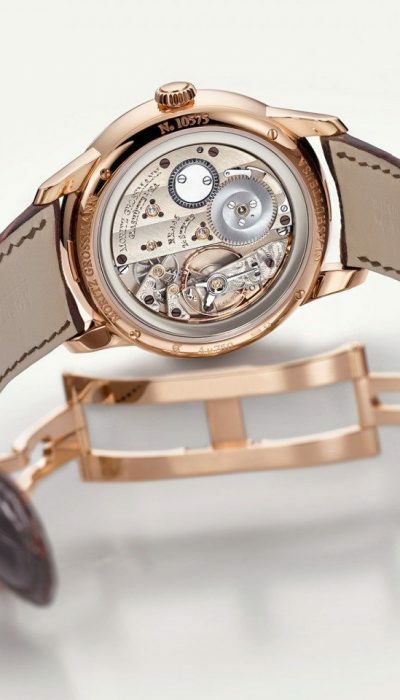 A totally reimagined mechanical heart of similarly subtle elegance beats inside the strikingly handsome case. 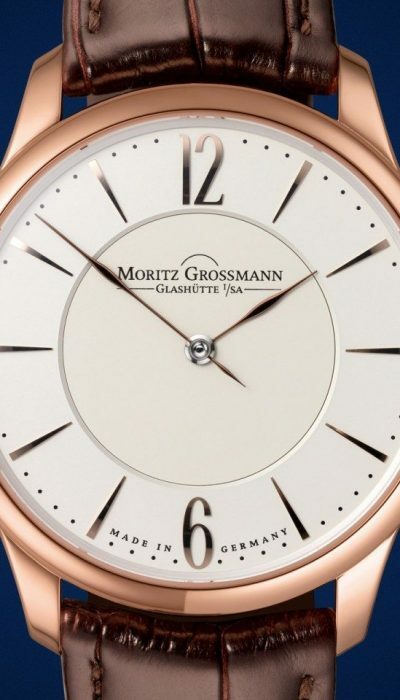 The remarkably thin movement exhibits all of the typical Grossmann hallmarks, yet is absolutely unique in its linear-symmetric architecture. This is immediately visible with a glance at the modified cut of the 3/5 plate. 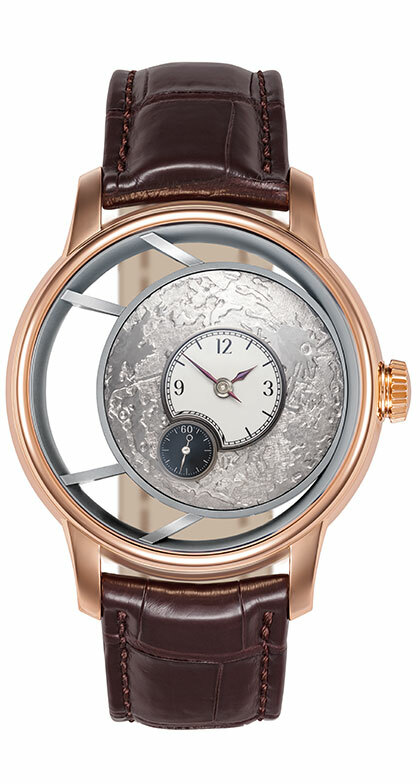 The case of the TEFNUT is crafted from noble rose or white gold. 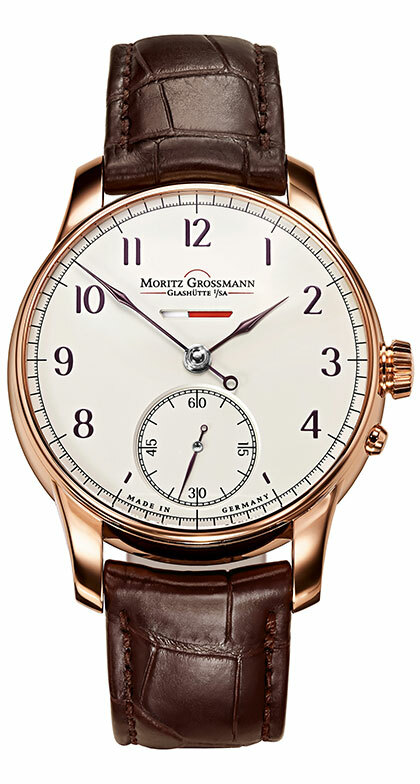 Given the extra-flat design of the movement, the silhouette of the case is exceptionally svelte as well. 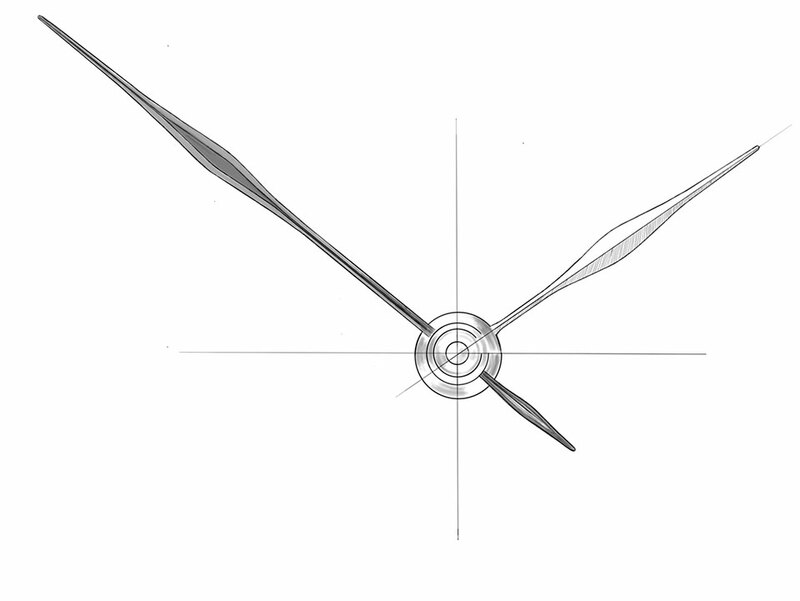 Thus, the watch gently hugs the wrist. 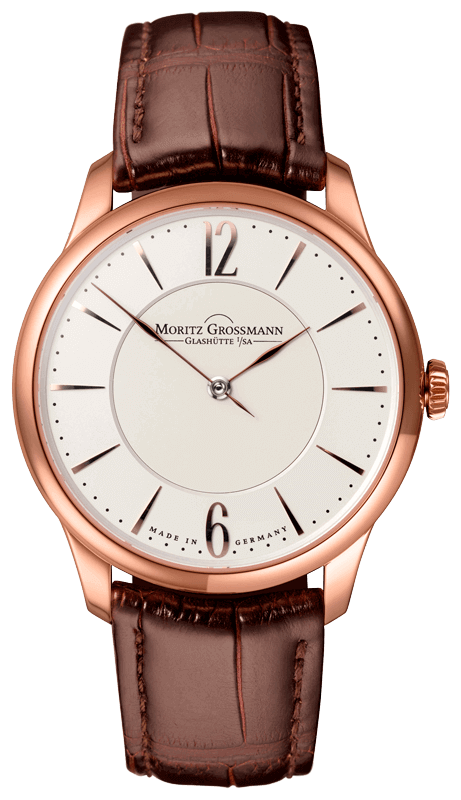 Its sleek elegance is underscored by the fluted crown, four gracefully tapered lugs, and a hand-stitched alligator leather strap. 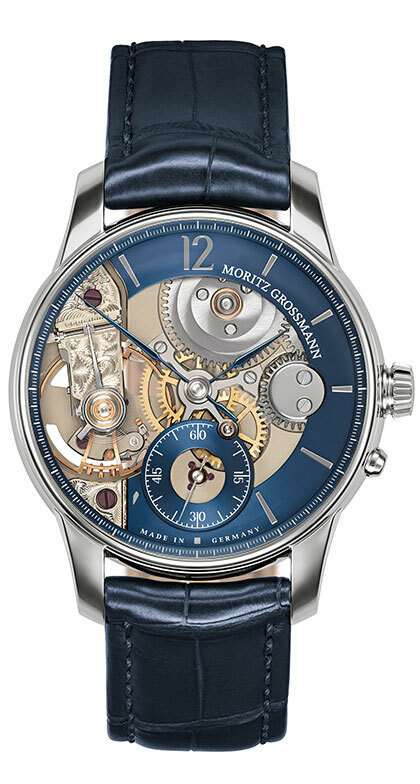 The slightly cambered sapphire-crystal glass and caseback merge seamlessly with the minimalist front and back of the TEFNUT. 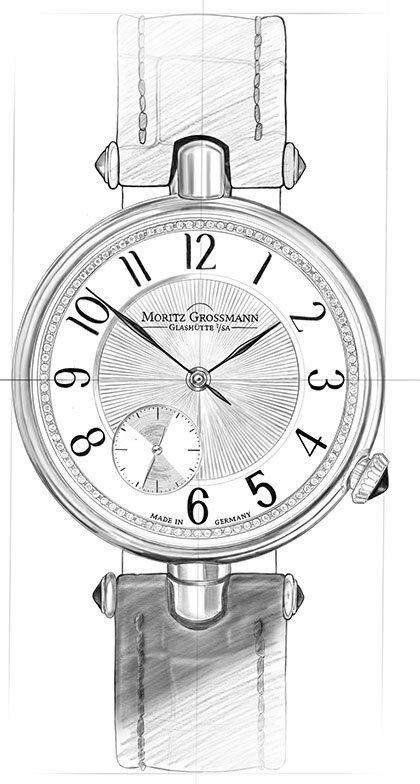 They protect the filigreed components and provide an unobstructed view of the distinctive details of the watch. 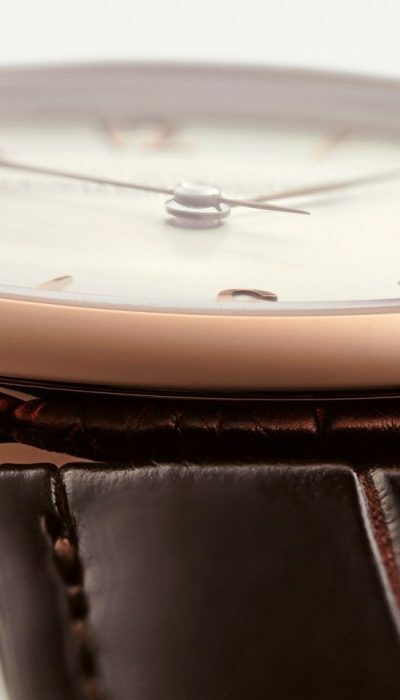 Subtle elegance meets premeditated innovation — in the TEFNUT, this philosophy is self-evident in the clearly structured, two-part dial and in its interaction with the hands that were created especially for this model. 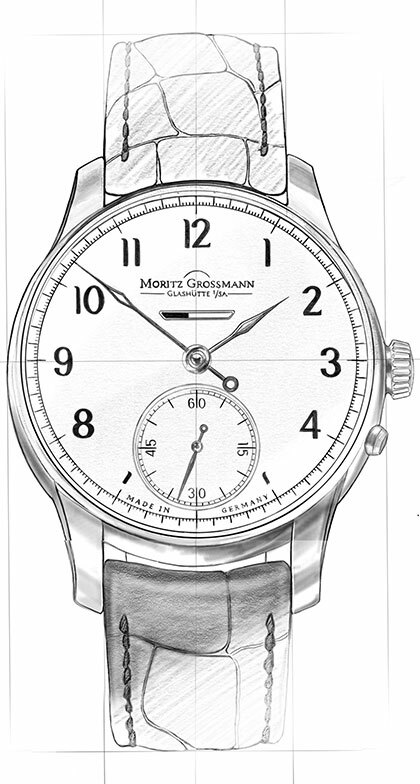 The face pairs modern form with classic design: Slightly domed hour markers encircle the argenté or charcoal dial, prominently interrupted by crisp Arabic numerals at the 6 and 12 o‘clock positions. 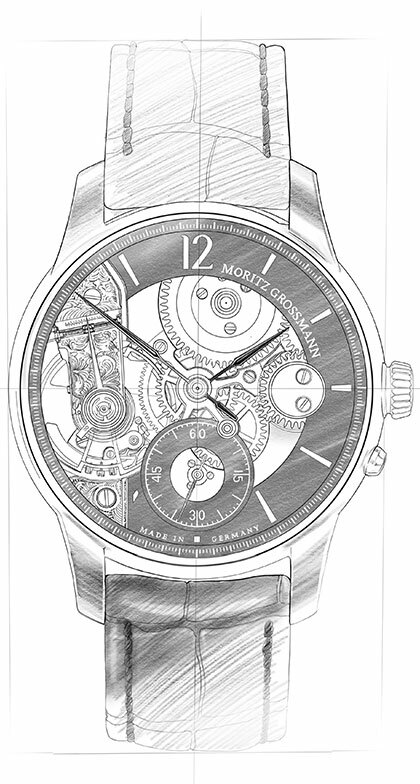 Deeply carved pinstripes adorn the inner part of the charcoal dial. 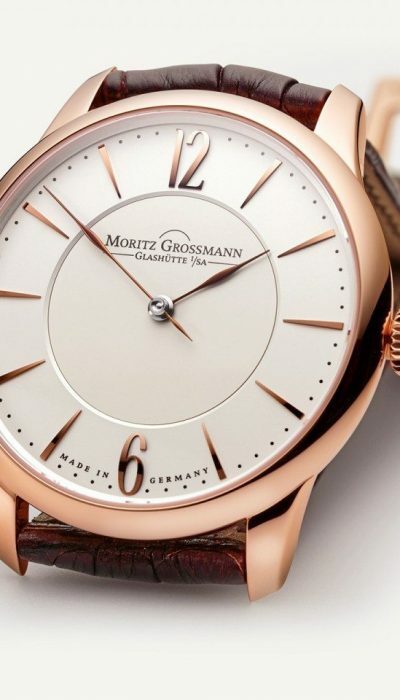 They grace the watch with understated momentum. 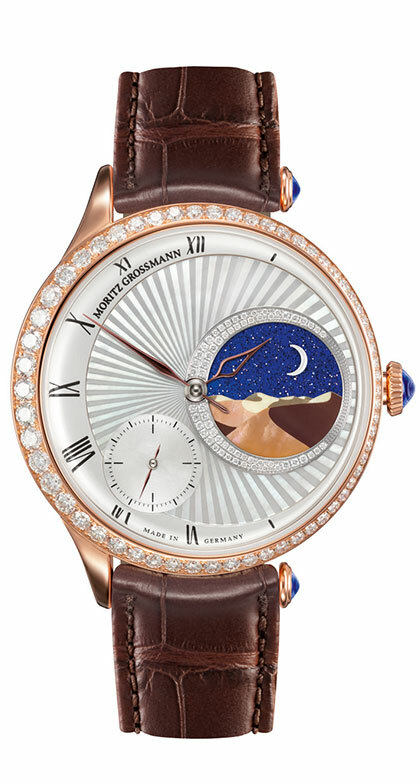 The lucid shape and the finesse of the hands of the TEFNUT are truly impressive. They are manually crafted from steel or stainless steel in numerous steps. 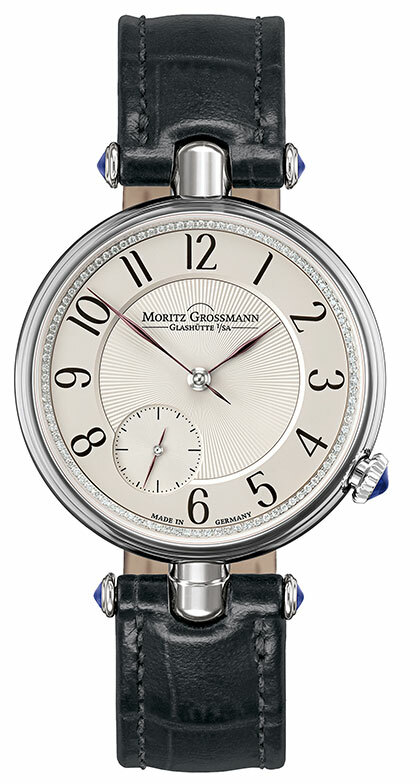 The carefully hand-stitched alligator strap is secured with a optional available butterfly clasp that makes the watch easy to put on and take off. It is made of gold and features a dependable pushbutton safety catch. Discover everything about the heart of the TEFNUT.